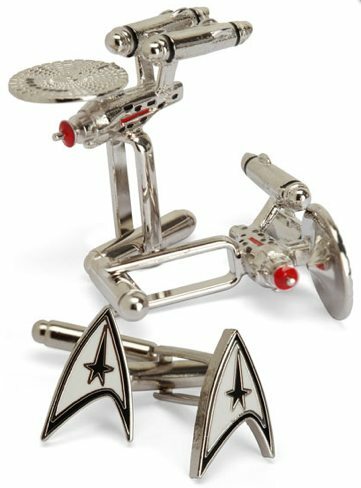 Dress up your dress uniform with these Star Trek Cuff Links from ThinkGeek. These officially-licensed cuff links are made of rhodium-plated silver and enamel. Your choice of Delta Shield or Enterprise NCC-1701 for $64.99.